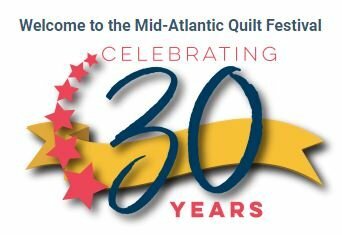 Details: Join us for a bus trip to the 30th Mid Atlantic Quilt Festival at the Hampton Roads Convention Center. Bus departs Cottonwood parking lot at the Meadowbrook Shopping Centre at 7 am, picks up at Zion Crossroads Commuter Lot to arrive at the Festival at 10 am. Return trip to leave at 4 pm to Zion Crossroads Commuter Lot and then Cottonwood by 7 pm. Fee of $59 includes bus ticket, Festival ticket, and driver tip. Fee does not include meals or snacks. Limited spaces available so sign up soon!